To find opportunities for a specific community, click on a tab above. 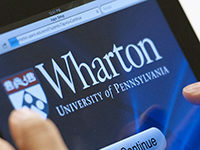 Wharton's 98,000 alumni network centers on 77 clubs on 6 continents. World-class business education accessible everywhere. 50 courses, 1.5 million learners.